Despite its importance as Australia’s number one trading partner, Australia still views China with both optimism and suspicion. The optimistic side of this relationship is centred on trade and the seemingly limitless potential for Australian business. The suspicion is concentrated on tensions in South China Sea and the extent of China’s influence in Australian politics and civil society. While the debate over China’s place in Australian business, politics and society unfolds, cooperation on climate change is sometimes overlooked. In view of this gap, Australia should expand its cooperation with China by focusing on critical projects, such as the Belt and Road Initiative (BRI). 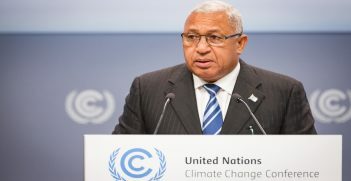 Climate change is recognised by both countries as a significant threat to security and social and economic prosperity. Released in 2017, the Australian Foreign Policy White Paper recognises that “climate change will sometimes impede economic development, drive additional displacement and, if left unchecked, add to global stresses on the supply of food and water.” Similarly, in China, climate change and environmental protection are considered priorities of the state government. Although China is still responsible for the majority of CO2 emissions and faces an array of environmental challenges, including air pollution in China’s major cities, it increasingly recognises and acts on climate change. China recently formed the Ministry for Ecology and the Environment to respond to climate change. This was previously the domain of the economically focused National Development and Reform Commission (NDRC). China is on track to surpass its Paris Climate Accords commitments before the mandated 2030 through positioning itself as the world’s largest producer of wind and solar energy. 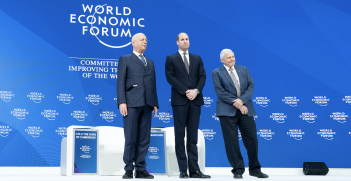 Finally, the importance of climate change was made clear in President Xi Jinping’s speech to the 19th Communist Party Congress in 2017, where he mentioned the ‘environment’ more times than China’s ‘economy’. Indeed, President Xi has argued that action on climate change is necessary ‘for the sake of human survival’. Collaboration on climate change is not a new area of cooperation between Australia and China. In 2004, Australia and China launched the Bilateral Climate Change Partnership. This agreement developed further under the Abbott Government to include an annual Ministerial Dialogue and ‘practical, collaborative projects in areas of mutual interest’. Nonetheless, these partnerships so far have not translated into a deeper sense of cooperation on climate change. Although Chinese companies continue to invest in renewable energy sources in Australia, the drive to collaborate on climate action appears to have dissipated. This is captured by suggestions that the Turnbull Government rejected an offer from the Chinese government to issue a joint statement on climate change in 2017. 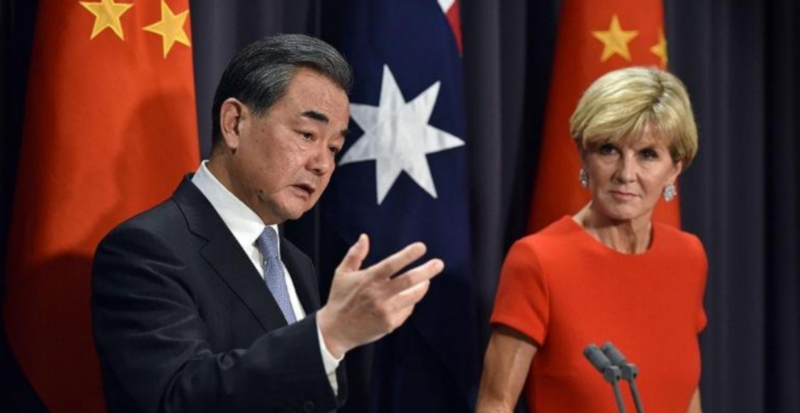 Instead, the Australia–China relationship is increasingly dominated by accusations of foreign interference. Contemporaneously, China has sought cooperation with other regional and national partners on climate action. In the period following President Trump’s election in November 2016, China has engaged with numerous sub-national and national actors to spur climate change action. China committed to enhanced action on climate change with California; formed partnerships with the European Union and Canada to champion the Paris Agreement; and has issued statements on climate change with France and Canada . These partnerships and statements – however symbolic – are illustrative of China’s desire to be in the ‘driving seat in international cooperation to respond to climate action’. This ambition is epitomised by China’s plans to spend US$360 billion on clean energy by 2020. China’s active approach to engaging with climate change action may be informed by the predicted consequences and challenges the region will face from climate change. The Asian Development Bank argues climate change will lead to ‘dire consequences’ for the Asia-Pacific, as modelling shows the region is ‘likely to suffer more from climate change than the world average, if no action is taken’. This increases the potential for irregular migratory patterns, and poses a risk to food and human security. Climate change also creates an opportunity for sustainable development. China – previously slow to make progress on climate action and environmental protection – has sought to harness the potential of renewable energy and sustainable design. It leads the world in solar and wind energy and in areas including electric vehicle production. The Chinese government has sought to embrace that opportunity, despite facing challenges linked with the rapidity of its economic transformation and embrace of clean energy. Conversely, Australia’s climate change record has been uneven. Australia has made progress at the sub-national level, where investment in renewable energy and energy storage technologies is strong. For example, the Australian Capital Territory is on track to supply its electricity grid with 100% renewable energy by 2020. But at the national level, studies show that Australia is not on track to meet its Paris targets. Despite differing levels of ambition and action on climate change, Australia and China could benefit from a cooperative approach to climate change mitigation and adaptation. 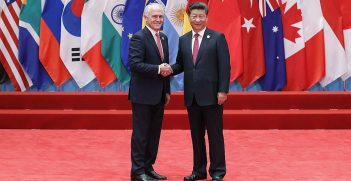 Fox has argued that it is in Australia’s national interest to engage with China on climate change in relation to human and comprehensive security issues. Kwok identifies the potential for Australia and China to collaborate on low carbon cities and the research and development of renewable technology. These ideas suggest avenues for Australia–China cooperation on climate change and sustainable development. Australia should consider expanding the scope of its cooperation by working with China on its Belt and Road Initiative (BRI), particularly in relation to sustainable development across the Indo-Pacific. An infrastructure investment project, the BRI is designed to improve and enhance trade and commerce links to meet a trillion-dollar shortfall in infrastructure funding. However, at the moment the BRI has been viewed in Australia as the use of economic power for strategic ends. The Australian Government has declined to join the BRI on the basis that there is not an economic case to do so. This decision may have been at least partly motivated by fears over China’s strategic intentions. Unless Australia shifts its position, it may miss the chance to expand the bilateral relationship and to work on an area of mutual interest: climate change and sustainable development. Australia should engage with China on the BRI to ensure that the BRI is oriented not simply towards filling the infrastructure gap, but also aiding sustainable development. The BRI has already spurred AUD$8 billion in exports of solar equipment from China, suggesting some positive environmental outcomes can be linked to the BRI. This reflects President Xi’s claim that the BRI will be ‘green, low-carbon, circular and sustainable’. However, the BRI has been criticised for its contributions to resource-intensive projects and its role in the development of new thermal coal power plants, both of which serve to exacerbate climate change. The BRI is an enormous endeavour that could aggravate environmental concerns, especially as the BRI contains only voluntary guidelines for environmental protection. Nonetheless, Australia’s support in strengthening sustainable development through the BRI might provide some reassurance that the BRI will improve environmental outcomes in the Indo-Pacific. For example, Australia might join the BRI as a show of support for the Beijing-led initiative, while stressing the need for more attention to climate change mitigation and adaptation in the design of BRI-related projects. In doing so, Australia and China could develop their relationship through the mutual interest of slowing carbon emissions. The BRI not only means more trade and commerce in the Indo-Pacific, which would be beneficial for China and Australia’s economies, but would create opportunities for sustainable development. Australia still has work to do at the domestic level to ensure that it meets its own Paris targets, but it should also concentrate on climate change and the BRI as a way of improving Australia-China relations. Chris Smith graduated with a Bachelor of Arts (Honours) in History in 2015 and is currently completing a Master’s of International Relations at the University of Melbourne. His areas of interest include international climate policy and regional governance in the Indo-Pacific. This is an extract of Smith’s article titled ‘Climate Change Cooperation: The Key to Better Australia-China Relations?‘ published in Volume 11, Issue 2 of Quarterly Access, the national publication of the youth networks of the AIIA.